Classic Plus Jade Needles have a fine and smooth silicone coating making the insertion even more gentle for sensitive patients. The ergonomically designed and lightweight plastic handle makes the needles convenient to use and its 'tap-in' type enables quick and painless single handed insertion. 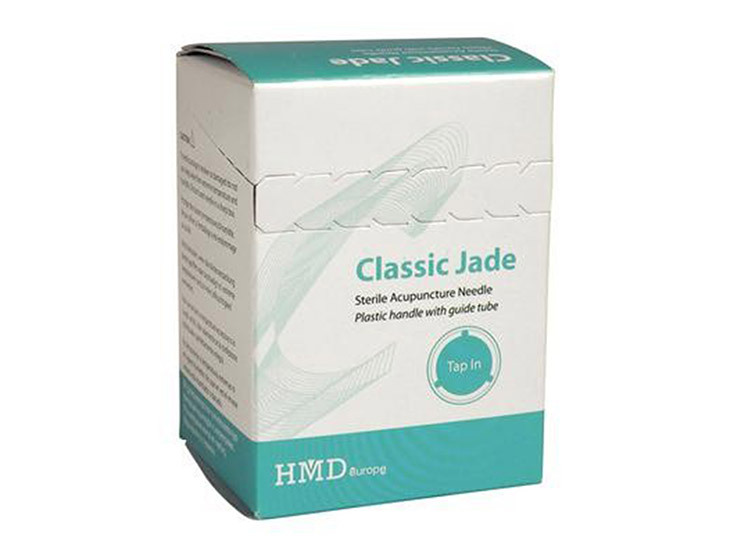 Supplied in an easy to dispense pack of 100 needles.